Head to the eye-catching deserts of Iran. The unending scenery of sand dunes, the beauty of the starry nights and the pleasant silence of the desert is beyond imagination. Maranjab desert is located 60 kilometers away from Kashan and is one of the most popular desert destinations in Iran. The rural houses and the restored caravanserais used as ecolodges, make Maranjab a safe place for desert tours. 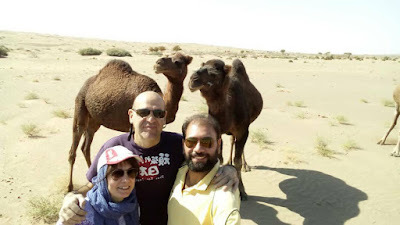 Ask Uppersia to get more information about Iran Desert Tours.